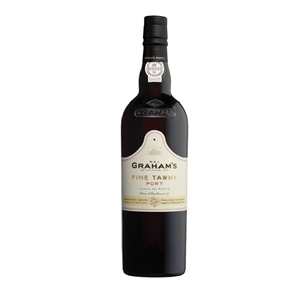 Graham’s Fine Tawny Port is lighter in colour and texture than Ruby and also slightly drier. The young wine is matured in seasoned oak vats for an average of three years, which allows the wine to come into contact with the oxygen that freely permeates the wood of the barrels. This means that some of the rich, fruity style of a young Port remains but the Fine Tawny also begins to gain the lingering nut and caramel flavours of an Aged Tawny Port. It is suitable for drinking on any occasion and should be served chilled, between 10 and 14º Celsius. Tasting Notes : With an attractive red-tawny hue, typical of an older wine, Offley Porto Tawny has a delicate aroma reminiscent of ripe red fruit and enhanced by nutty notes that provide it with an added complexity. In the mouth, there is a fine balance between soft tannins and natural sweetness which combine harmoniously towards an elegant and fine finish.